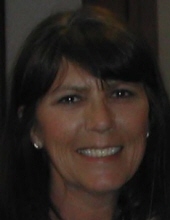 Kathy Ann (Woodruff) Mayer, 60 of Gosport, Indiana passed away Thursday, April 4, 2019 at Schneck Medical Center. Born October 3, 1958 in Columbus, Ohio she was the daughter of Carl and Marie (Deskins) Woodruff. Kathy was a hard worker and enjoyed camping, canoeing, creeks and anything outdoors. She loved spending time with her family especially her grandchildren. She is survived by her children, Justin Scruggs of Seymour, Dana Christian and husband Shawn of Seymour and Skylar Ernest of Bloomington; her brother David Woodruff and wife Renda of Seymour; her grandchildren, Brayden, Cailee, Kameryn and Edith; her niece and nephew Angel and Trace. Kathy was preceded in death by her parents and sister Sandra Woodruff. To send flowers or a remembrance gift to the family of Kathy Ann Mayer, please visit our Tribute Store. "Email Address" would like to share the life celebration of Kathy Ann Mayer. Click on the "link" to go to share a favorite memory or leave a condolence message for the family.